On December 21st 2018, the UNHCR released an update on Yemen, but Christmas festivities casted a shadow over it. While Christmas sparkling lights and songs reverberated in our cities, alarming data was made public. This is why I want to talk about this topic now, when the festive season is over. 22 million people are in urgent need of assistance, two million are internally displaced -of them 89% have been displaced for more than a year and one million have returned to their homes without knowing if they will find food and medical care. It is estimated that some families might be currently living in caves despite their urgent need of medical and humanitarian aid. On the one hand, there was the miracle of Christmas that is too often celebrated following superficial rituals and on the other hand, there were Yemeni caves sheltering families who didn’t have anything to eat. Wealth and abundance, decorations and lights, friends and families gathering around tables laden with food all terribly clash with a war-torn country whose population has not known peace for too long. 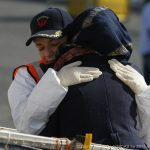 On January 9th, after a short relief for 49 people stranded at sea who were finally allowed to disembark in Malta, the UNHCR Under-Secretary-General for Humanitarian Affairs and Emergency Relief Coordinator, Mark Lowcock made a strong statement. In spite of Stockholm agreements and bland attempts to find a compromise among belligerent parties, the situation remains “catastrophic” with 10 million people at risk of famine. One in two healthcare facilities is closed, and many years of deprivation have exposed Yemenis to severe health conditions that could be easily treated with the right medicines. 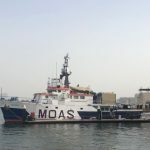 As MOAS witnessed in Bangladesh, people also become ill because sanitation facilities are inadequate, and waterborne diseases proliferate. Among them, up to 10,000 cases of cholera were recorded last October. Yemeni cholera outbreak was considered the worst at the global level. Since its inception in 2017 it has caused more than 2,000 victims, but it might account for 1.2 million suspected cases in total. Just like the persecuted Rohingya community, children pay the highest price and represent up to 30% of cholera victims. Additionally, the outbreak is growing fast after a water facility was bombed in Hodeidah last summer. Humanitarian Law firmly forbids the targeting of civilians and facilities essential to their survival during times of war, but violations have been more and more frequent. In Syria, the civil war has pulverised most of the country’s infrastructure, while some regions have been made inaccessible to humanitarian workers, who face further obstacles in Yemen due to the Saudi-led coalition bans. The main Yemeni ports, like the one in Hodeidah, are closed to humanitarian organisations, but after the cease-fire agreed in Stockholm last December, there was hope for the immediate future. Nonetheless, even though “an immediate cease-fire in the city of Hodeidah, the ports of Hodeidah, Salif and Ras Issa and the governorate upon signature of this agreement” was agreed, its entry into force was very complicated because of “the innate conflict of interest in selling the weapons that perpetuate the suffering of Yemen’s civilian population” and the lack of “political will to end the conflict”. Today, Yemen is waiting for new negotiations to be held at the end of the month, while languishing amid indifference of the international community. A medical air bridge was expected in Sana’a to provide immediate healthcare in Northern Yemen, but it hasn’t been created yet, thus exacerbating the suffering of millions of civilians. 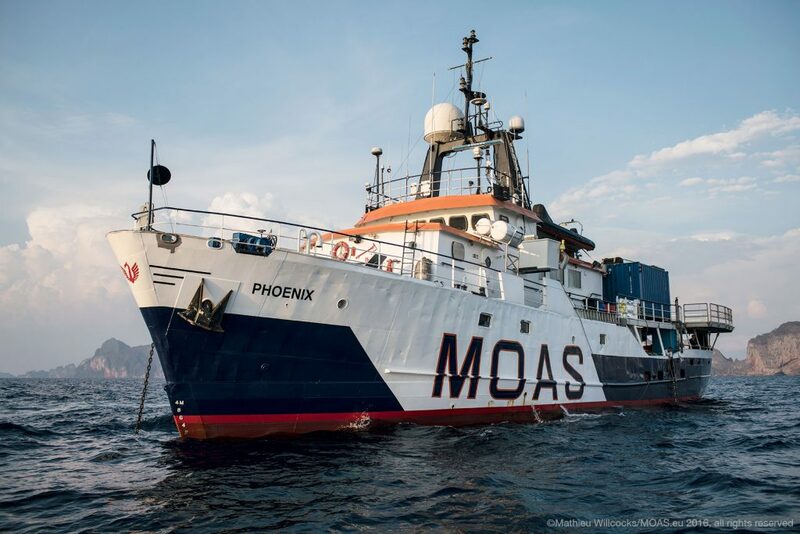 MOAS launched a fundraising campaign to bring humanitarian and medical aid in Yemen with the Phoenix, but we are deeply concerned by the lack of positive developments. Based on our expertise both at sea and on land (where in one year we treated 87,000 patients), we would like to help the exhausted Yemeni population in its struggle to survive. After the Rohingya exodus into Bangladesh, MOAS immediately opened two Aid Stations providing primary healthcare to newly arrived refugees and the local host communities. We learned to work in a disaster-prone country with frequent cyclones, and during the monsoon season we treated whoever was in need. So, this is exactly what we would like to do in the future: keeping hope alive in communities hit by natural catastrophes and conflicts. For every minute spent negotiating, human lives are lost. 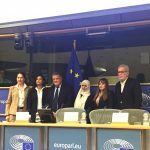 For every political uncertainty, a child dies of starvation or treatable diseases. Inaction is a choice that affects the most vulnerable victims of wars, who have no influence on them, but suffer in silence.